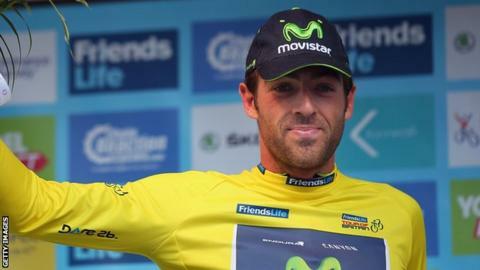 Commonwealth Games gold medallist Alex Dowsett has signed a three-year contract to remain with Movistar. The 25-year-old from Essex won time trial gold at Glasgow 2014 and briefly led this year's Tour of Britain. He also claimed the time trial in the Circuit de la Sarthe in April, but was disappointed to miss out on his first Tour de France through illness. In 2013 the former Team Sky rider won his first stage on a Grand Tour, taking a Giro d'Italia time trial.